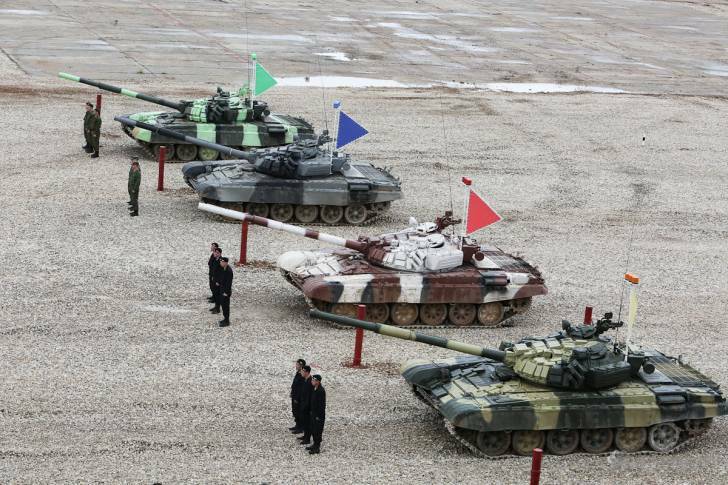 The Indian Army team crashed out of the 19-nation competition after its Russian-origin T-90S main-battle tanks broke down due to mechanical snags. The international ‘Tank Biathlon’ was held in Russia and India was among 19 countries, including China, which participated in the event. A total of 19 countries have participated in the event and the top 12 of them were to be selected for Stage II relay race. The fighting vehicles from Russia, China, Belarus and Kazakhstan raced ahead to enter the finals. Reportedly, Indian team could not advance to the next level following the breakdown of its two T-90 tanks. An officer in a statement informed that the fan belt snapped in the first tank. The reserve tank was then deployed for the race but its entire engine oil leaked just two kilometres before the end. It could not complete the race. It was sheer bad luck that led to the Indian team being disqualified. The competition is an international event conducted as part of the International Army Games held every year since 2013 at Alabino ranges in Russia. It has been three years that India has been participating in the event but this was the first time that India participated with its own T-90 tanks. International Army Games involve 28 events which are organised in Russia, Belarus, Azerbaijan, Kazakhstan and China. The competition simulates actual battle field conditions involving driving at high speed and entails switching from one mode of operation to another at a fast pace.